We sometimes rinse this leaf as we do for an oolong or Pu-erh. If this tea is steeped for 4 minutes or less, this tea can easily be re-steeped in order to coax all the goodness from this flavor-packed leaf. This tea is really spectacular! The Yunnan black teas from 2014 and 2015 were quite special and are now becoming very difficult to obtain. 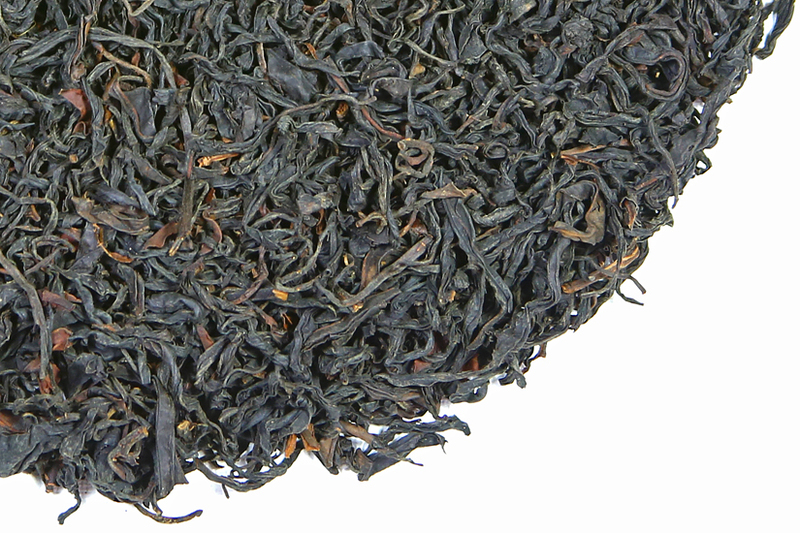 While looking for outstanding examples of these ‘rested’ teas, I was recently able to source a quantity of this 2015 harvest Old-Style Purple Varietal Ye Sheng that is simply delicious. I had to have it! 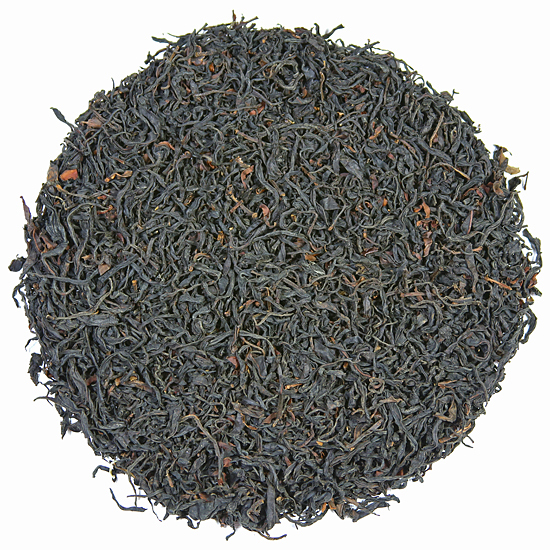 and rather than drink it all ourselves, we are very pleased to share it with our Tea Trekker Yunnan black tea enthusiasts. What a glorious treat for both a Yunnan tea enthusiast and for someone who has never tasted a wild-grown, old-tea-tree-varietal Yunnan dian hong. This tea was manufactured from a very old varietal of Camellia sinensis – the Ye Sheng varietal – which was identified and named even before the Assamica variety in eastern Assam, India. This natural, local, indigenous varietal presents an argument for Yunnan being a strong candidate as the original location of tea as a wild plant. Grown around 2000 meters in altitude, it is a hearty tree that reflects the terroir of its forest habitat. 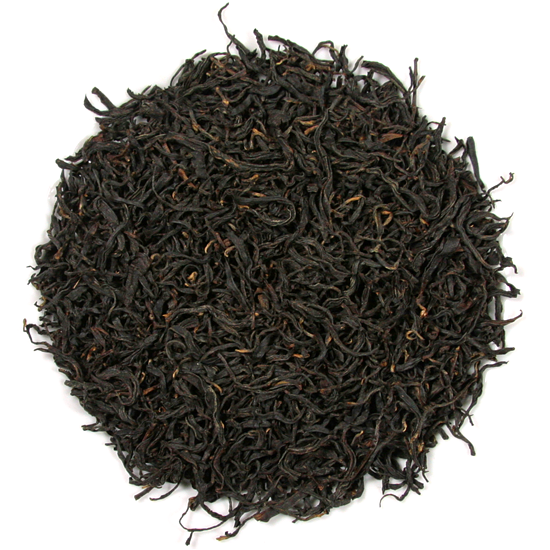 Starting with the dry leaf: expertly-formed large leaf tea shows an open, gentle twist. The color is completely unique – it is gray and brown and cordovan all at the same time and then there is an edging of a rich, dark reddish stain that is reminiscent of the color of burgundy wine in the glass. The wet leaf shows a similar profile, however the leaf takes on a modified hue. The first prominent aspect of the aroma was a surprise to us – the aroma of the dry leaf was somewhat reminiscent of a well-made yan cha from the Wu Yi Shan in Fujian Province. What that tells us is that despite geographic distances, these old varietal tea bushes appear to have shared characteristics and complexities, plus richness and vigor and that have been bred out of today’s commercial tea bushes. There is complexity to spare in the aromatic quality of this tea: the allure of the earth-floor combines with mushroom and clean, dry moss to gently tease the palate. When steeped, the aroma adjusts and clarifies, bringing in the softly spicy notes found in RouGui yan cha – what tea enthusiasts call “tea cinnamon”. This is a dry, slightly minty returning flavor that is quite pleasant as it lingers on the palate. It is this ‘dry’ component of flavor that we find particularly enticing in this tea, and a significant reason why this tea is unique. This is an extremely unusual tea. TeaTrekker contracted for very specific, premium-quality pluck of this 2-year-old tea. We believe we are the only source for this particular selection that we have. It will improve with age for many months and should drink well through 2020.